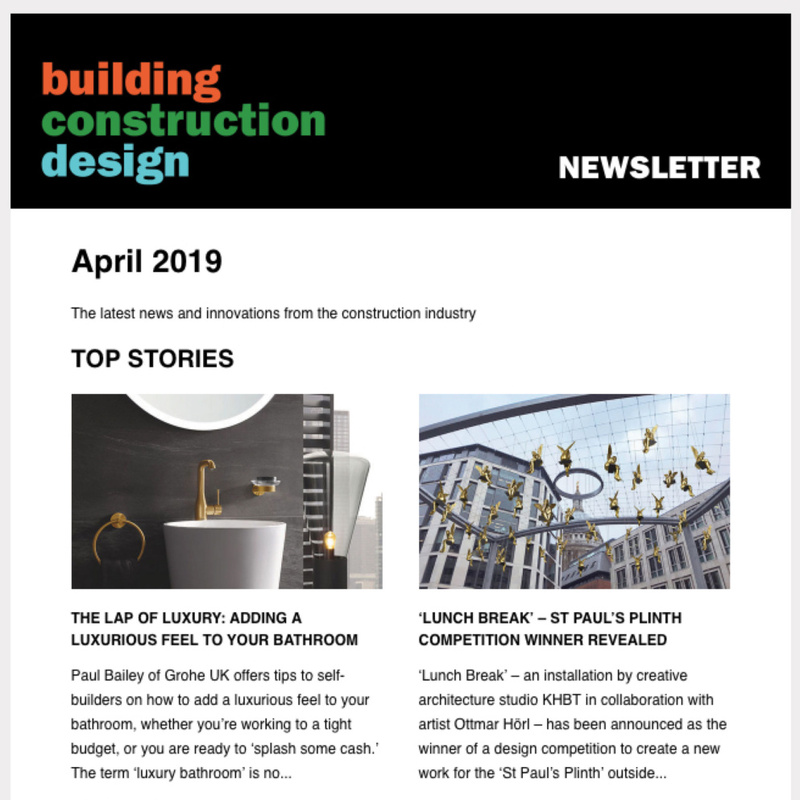 Colour is one of the boldest and smartest design features you can bring into the home, but it can be quite daunting, especially with a focal point such as the kitchen. 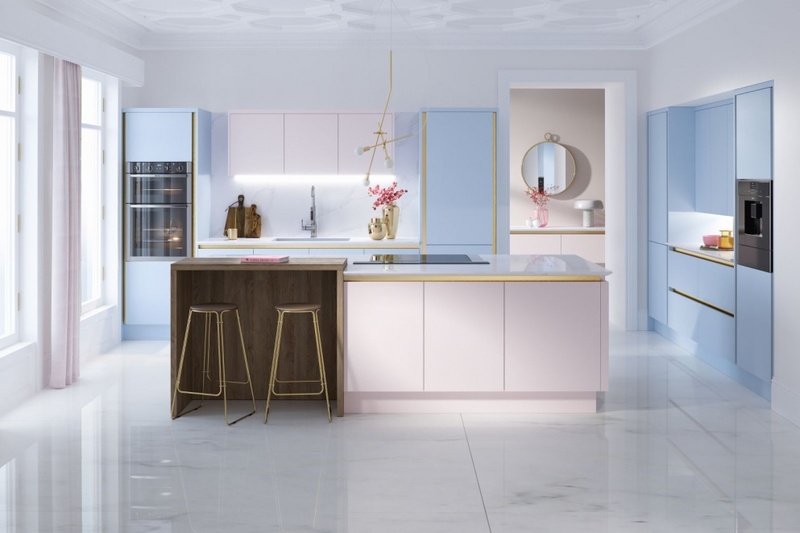 Sarah, Creative Director at Wren Kitchens talks through the inspiration for their boldest collection yet; the pastel palette, candy-coloured Macaroon line and explains how you can bring the kitchen to life with a little colour…and confidence. 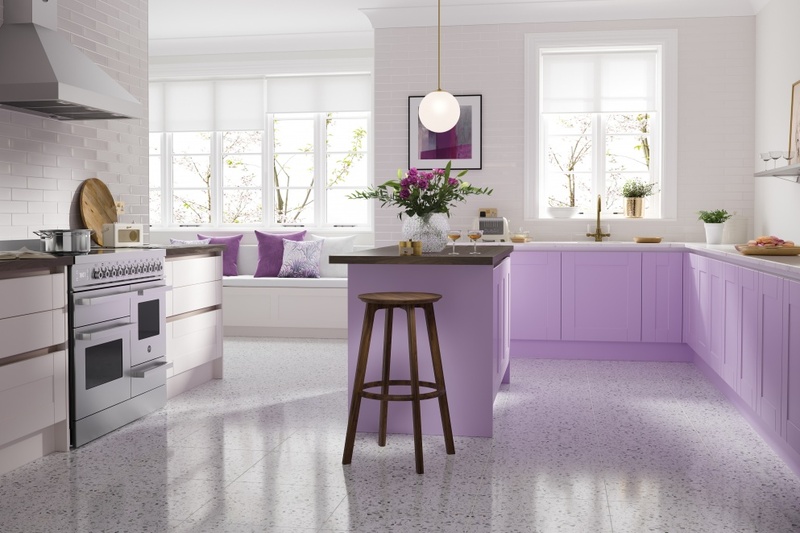 If you’re planning a new kitchen, take time to think about what colours you could bring in. Try experimenting with paint colours first to get the right combinations that complement each other and will work well in the space you have. It’s really important to think about the light in this room too and how this will work with the tones you choose. 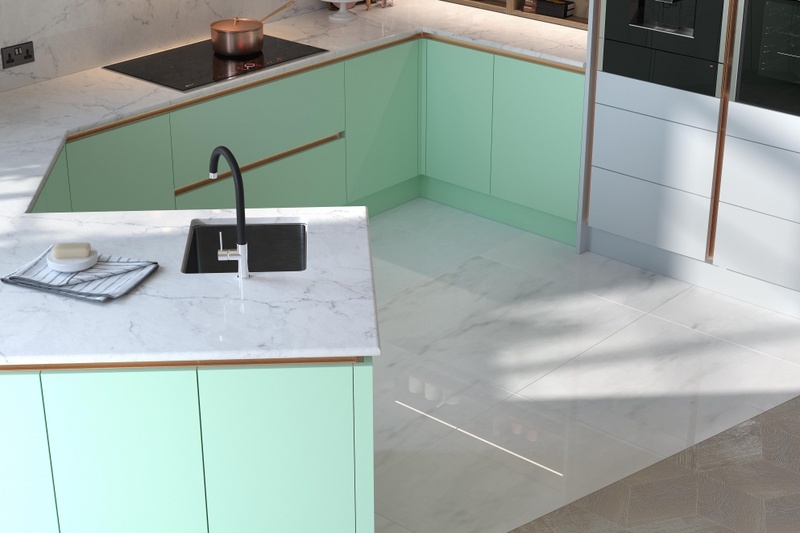 Two tone units are a great way of adding colour to the kitchen and using a mix of bold, bright feature colours with complimenting pastel tones can really add another dimension to the design and create the illusion of space in smaller kitchens. 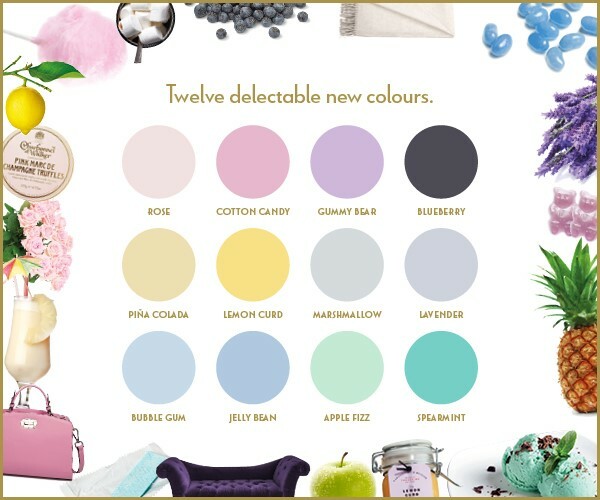 The Macaroon Collection palette comprises 12 different shades that combine pretty pastels with a matching vibrant hue – play around with a bright tone such as Jelly Bean paired with a delicate pink like Rose or Lavender to create a beautiful and bespoke style for your home. 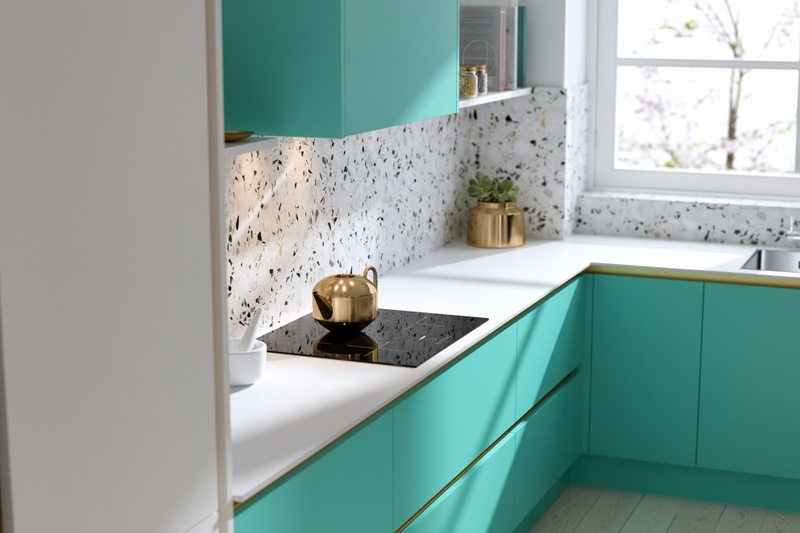 To add further pops of colour, invest in some great statement piece appliances or accessories. 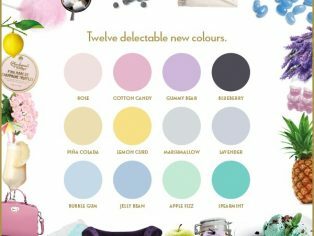 Smeg have an incredible range of pastel coloured kettles and toasters, Le Crueset are famous for their signature cast iron dishes in stunning colour ways and the KitchenAid mixer comes in a wide variety of hues from Pistachio to Majestic Yellow and Ice Blue. 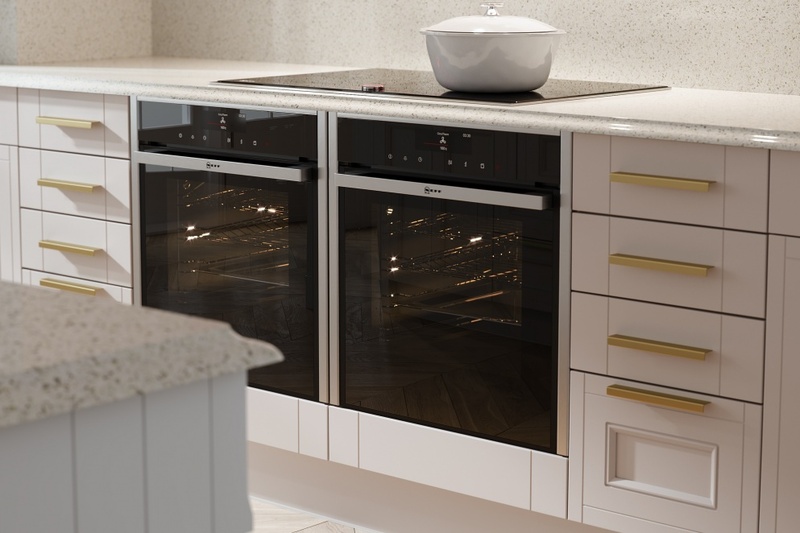 use gold handles to unify two tone cupboards or opting for subtle rose gold trims to outline a sleek silhouette. Inspired by the summery superfruit, Blueberry is a luxuriously rich hue with a warm depth of colour. Create an oasis of classic elegance or give a cold room a regal lift with a blast of berry bliss. 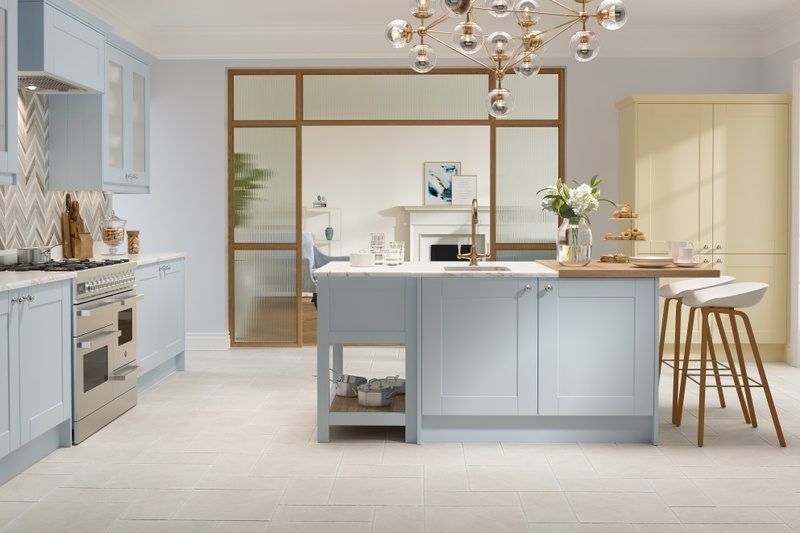 Choose Blueberry to give your kitchen a sophisticated finish with a definite wow factor. Bring the delicate essence of a rose garden in full bloom to the heart of your home. 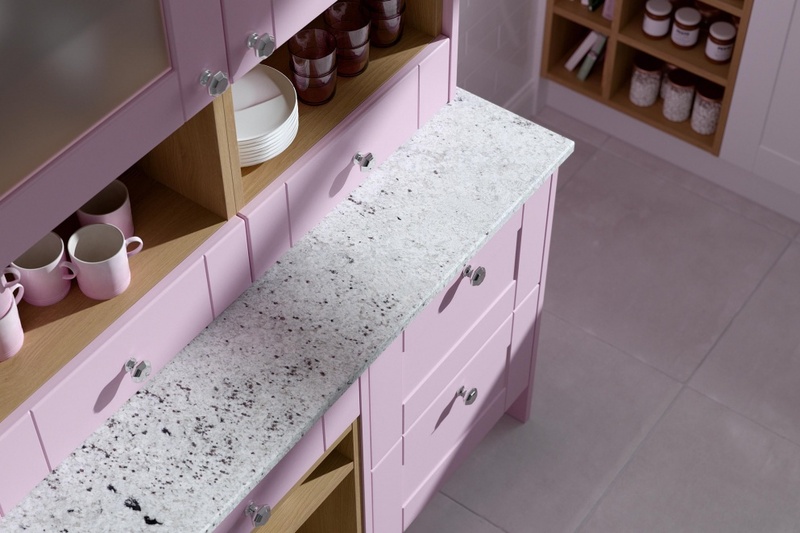 Rose has a quiet charm which makes this pretty pink a clean and friendly choice for your home. 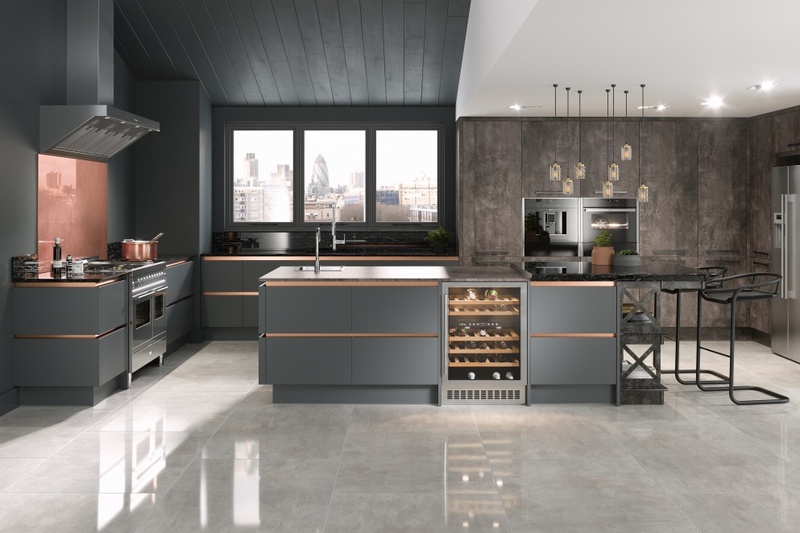 It’s a stylish alternative to a pure white kitchen which maintains the seamless look of a minimalist finish. From pale to bright, yellow is hot right now. The Piña Colada shade is a tropical fusion of pastel orange with mid yellow undertones which injects the warmth of the tropics into your home. 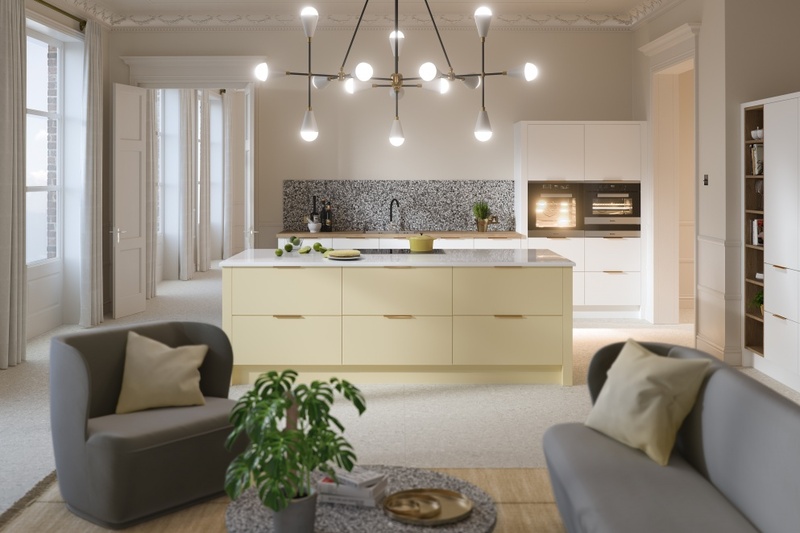 This light and airy hue makes every day feel like a holiday and is perfect for kitchens with a sunny disposition.